Surrendered by her owner with a severe leg injury. 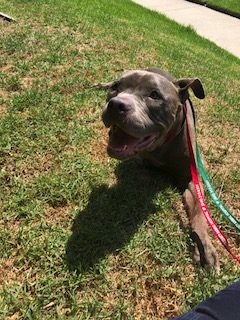 This beautiful, seven year old, female pit bull was surrender on August 27th. 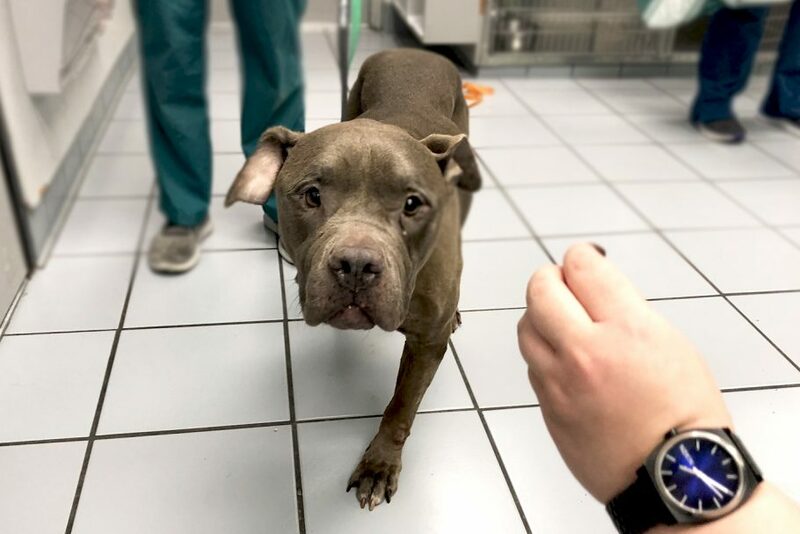 Veronica was brought to the Carson shelter because she had a swollen leg and her owners didn’t want to take care of it. After being processed with the shelter and going to the vet the shelter gave her one day before being put to sleep. The shelter didn’t have the funds to help her out. The Little Red Dog Inc. was notified about Veronica and Little Red Dog Inc. came in and rescued her August 28th. Veronica was in so much pain she wasn’t eating or walking much. 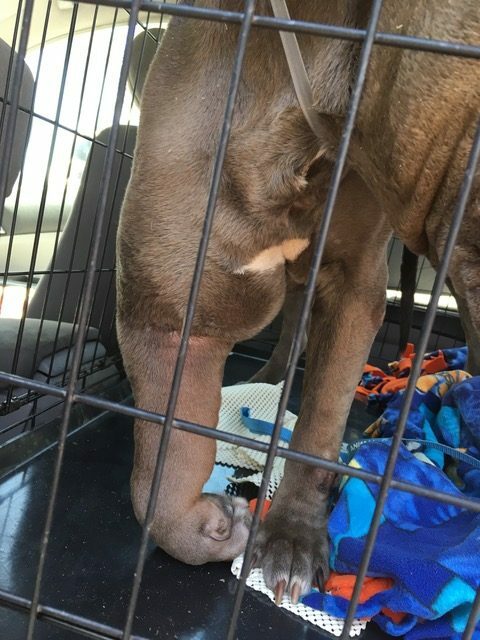 When Little Red Dog rescued Veronica they took her to South Orange County Animal Hospital. At the vet they learned that her front right leg wasn’t functioning and needed to be amputated. It was extremely urgent to have her leg taken care of immediately since cause is unknown. Her surgery was on August 30th. The biopsy of her leg was sent out and results should be in soon. Veronica is one week post op. She is slowing getting back to being a dog. She is learning how to walk and balance on three legs. Veronica is still staying with at the hospital where she is getting care around the clock. She will be moving to a foster home soon. 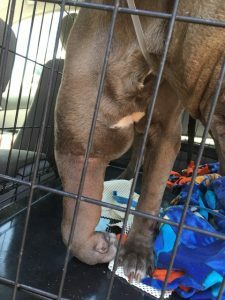 Please help with Veronica’s bill so she get a fresh new start! She’s lost a lot so let’s give back to her! 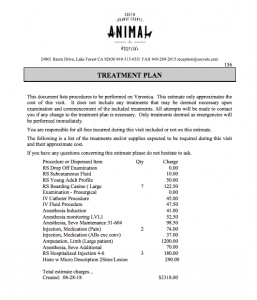 Little Red Dog Inc. has already raised $400 towards Veronica’s total bill! 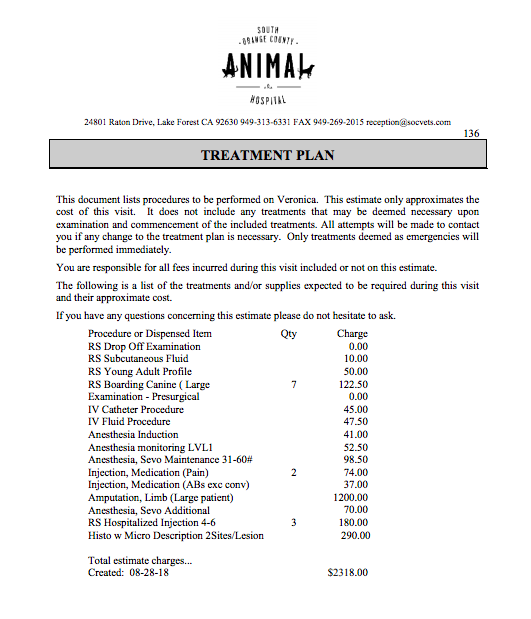 This vet is allowing the rescue to pay the bill 30 days after surgery, due October 2nd. Keep smiling sweet face! The Little Red Dog sent me an e-mail about her – had to help. 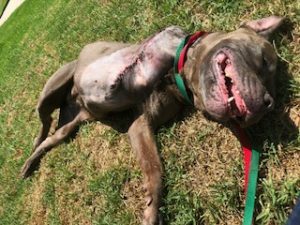 Thank you for helping this sweet girl! Thank you so much for rescuing this little angel! We love you Veronica and know it’s only happy tails from now on! Love Sam & WagAware. Thank you again for saving Veronica! Because the joy animals bring to us should always be reciprocated back. Humans are the selfish beings, but we can work little by little to improve all aspects of the living. Wishing Veronica a speedy recovery and thank you for saving her!!! Please help poor Veronica. Thank you. Wishing her a new amazing life. I wish you were found earlier. I wish there was more we could do. We originally interested in adopting or fostering Veronica when we saw her online. We are devastated that she does not have a lot of life left in her and hope she finds peace. I would donate the rest of her care if she came home with us! We love you Veronica and are praying for a miracle!!!!! You are a very special girl and so many people from all over are praying for you sweet girl! We originally intere…sted in adopting or fostering Veronica when we saw her online. We are devastated that she does not have a lot of life left in her and hope she finds peace. 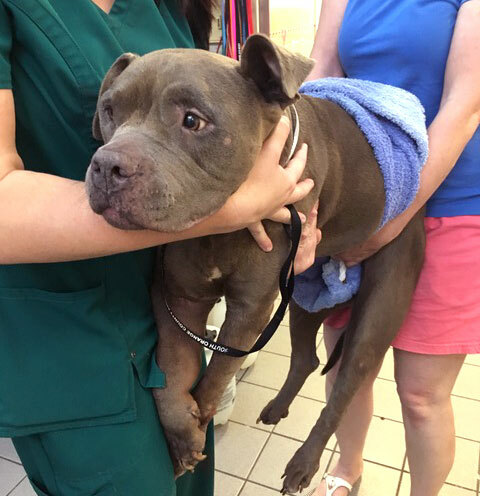 Thank you so much fo…r rescuing this little angel! We love you Veronica and know it's only happy tails from now on! Love Sam & WagAware. Please help poor Ver…onica. Thank you. Wishing her a new amazing life. Keep smiling sweet f…ace! The Little Red Dog sent me an e-mail about her - had to help.